With a vast timeline of developments beginning soon after its Launch in January 2011, Cloudways has topped the charts when it comes to providing cloud-based web-hosting services. It provides affordable services which can be availed by businesses to bring and promote their business online. One thing which makes Cloudways better than any other web server hosting provider is that it keeps you from the hassle of dealing with site infrastructure, performance optimization, security, server configuration and many such technical aspects. Once you have a cloud-based platform hosted by Cloudways, your website is good to go! 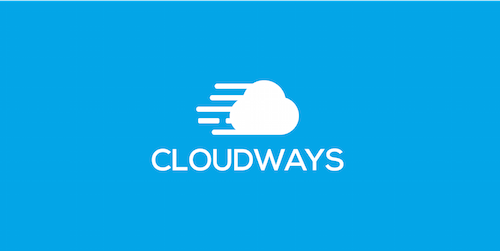 One of the first ones to enter the domain, Cloudways started operations in January 2011 with an aim to offer ways to “deploy, monitor and manage” various applications and websites without much hassle. The company was initially incorporated in Malta, Europe but it also holds operations in UAE and Spain. The company partners with other cloud-based hosting providers and manages the clouds for their clients. The growth of a whopping 550% within the past 12 months clearly testifies that the company has definitely been able to establish a strong foothold in the domain. Currently, there are 31,284 active cloud servers managed by Cloudways and that’s not all. Cloudways also has employed 102,428 servers to run various websites and applications smoothly. The Cloudways ThunderStack is the latest bundle of services launched by Cloudways which includes the best of all web servers and cache technologies required to make your online presence shine. ThunderStack usually includes NGINX, Apache, Memcached, MySQL/MariaDB, Varnish Cache, PHP-FPM, Redis, and PHP 7. The bundle is customized on the basis of requirements of the app or the website. Doesn’t matter which platform you want to build your website on because Cloudways has it all sorted for you. The various services it offers include Magento Hosting, WordPress Hosting, WooCommerce Hosting, Drupal Hosting, Joomla Hosting, Prestashop Hosting, Laravel Hosting, and PHP Hosting amongst others. Cloudways is committed to making everything easier for you, so why not spending money! Therefore, it comes up with Promo Codes and offers every now and then which are designed to keep your website going as your pockets remain warm.